September 7, 2015 ~ Nortina S.
As her mount shifted uneasily under her, she grasped the brim of her old felt Stetson, gazed upwards and remembered Jean Pierre. “You haven’t lived until you’ve been in love with two men at the same time.” She lightly chuckled as she watch the love god Cupid form in the clouds. Alejandro wrapped his arms around her waist, kissed the mole behind her ear. It always turned her legs into jelly. As he circled the mole with the tip of his tongue, he could feel her knees quivering. “How could you fall in love with someone after just three hours?” he whispered. “I’m never leaving you alone with a tour guide again,” he said. Mondays Finish the Story: a flash fiction challenge where we provide you with a new photo each week, and the first sentence of a story. Your challenge is to finish the story using 100-150 words, not including the sentence provided. Click the froggy icon to read other stories and add your own. Lovely story, tour guides especially French ones with that accent – ooh, la, la. 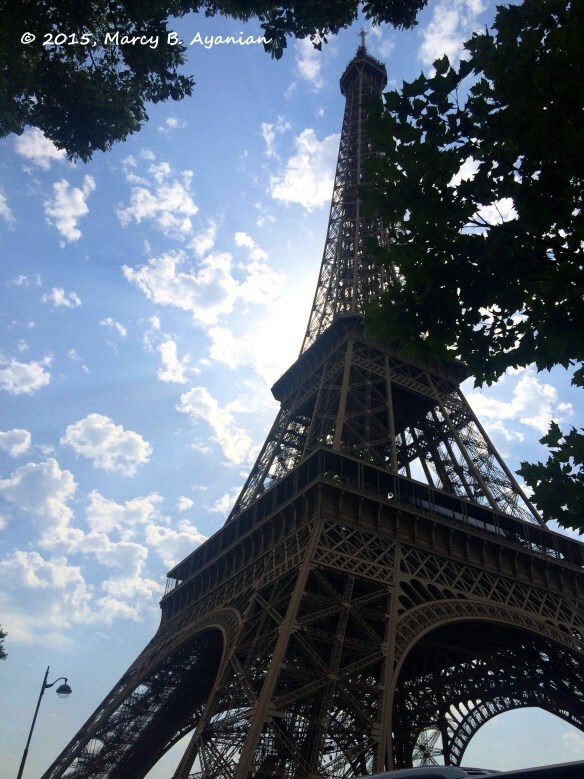 Falling in love is what Paris is all about, and why not twice?! Loved it! Why not twice? Why not three times? 😉 Thanks for reading! Loved it Nortina! I would think that Paris would have you falling in love with more than just one man! Yes! Those darn tour guides! 😉 Thanks for reading! Love it!!! Paris will do that to woman! !